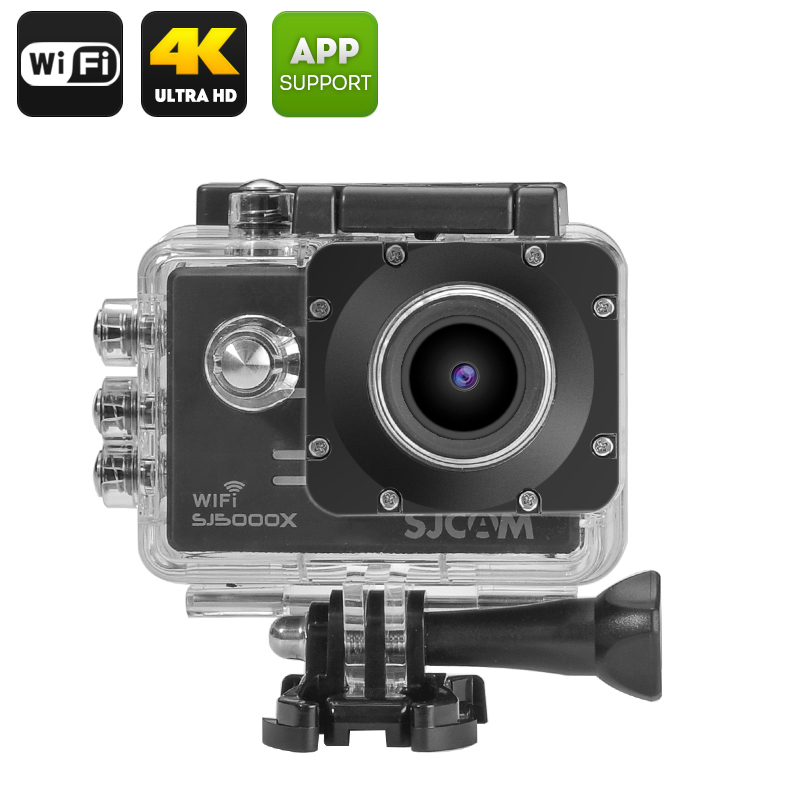 Successfully Added SJCAM SJ5000X Elite Edition Action Camera - Gyro Sensor, 4K, Wi-Fi, Loop Recording, WDR, 170 Degree Lens (Black) to your Shopping Cart. The SJCAM SJ5000X Elite edition take advantage of a Sony IMX078 CMOS sensor that really shines as it can record 2K resolution images at 30fps and snap 12MP images at 4032 x 3024 resolutions. This top end action camera sports a gyro sensor that will help stabilize the video resulting in much smooth footage and a great benefit when using the camera with a drone or quadcopter. A wide view lens on the SJ5000X Elite brings a 170 degree view so you can fit it the full panoramic view making sure no details are lost. With Wide Dynamic Range (WDR), auto white balance, adjustable IOS exposure and 2.0f aperture you can enjoy great images and video even when shooting no matter what the light conditions. This sports action camera comes with a waterproof case protecting it to depths of 30 meters and a host of mounts allowing you to take it climbing, surfing, white water raftering skydiving or on any other extreme adventures. With loop recording you can mount this action camera in your car and use is as a car DVR for extra safety on the road. A 2.0 inch LCD screen on the back of this camera lets you review what your recording and the addition of Wi-Fi allows you to share the videos and images with your phone or computer without the need of cables so uploading them to YouTube or Facebook is quick and easy. With a micro SD card slot supporting up to 32GB of storage (Class 6 or above) you will have plenty of storage for all your footage. The SJ5000X Elite sports action camera comes with a 12 months warranty, brought to you by the leader in electronic devices as well as wholesale action cameras..